52K Atari 800 - did anyone else do this ? 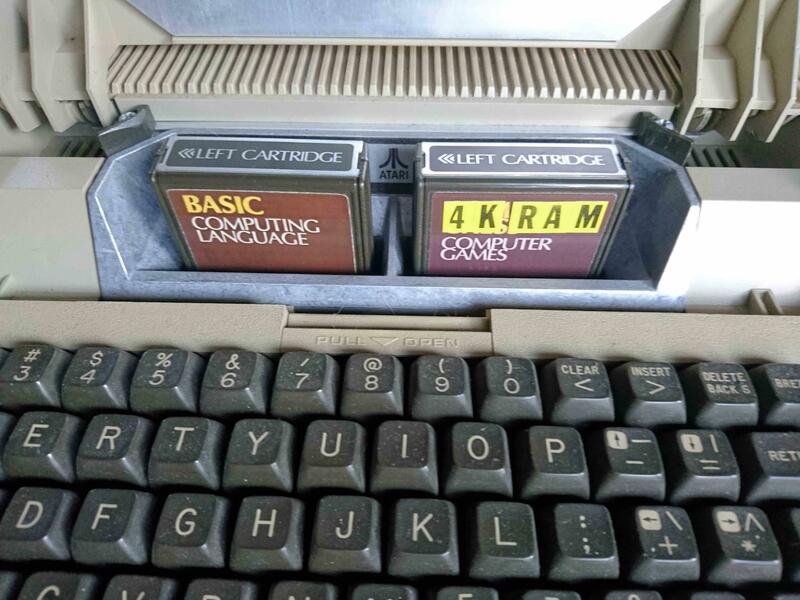 When I first got my Atari 800 in the 80's, I used it to develop some games + Utility software. I realised there was a 4K hole in the system that could be used to put debugging software etc. I rarely played Computer Chess, so that cartridge got the chop. Also nothing used the right side cartridge slot. to enable writing to the RAM. It worked a treat, obviously couldn't use it with Basic. At a later date I did make a 'Cartridge' for the Chess ROM. Wow - that's really cool. That's interesting. What is the address range for the extra 4K? 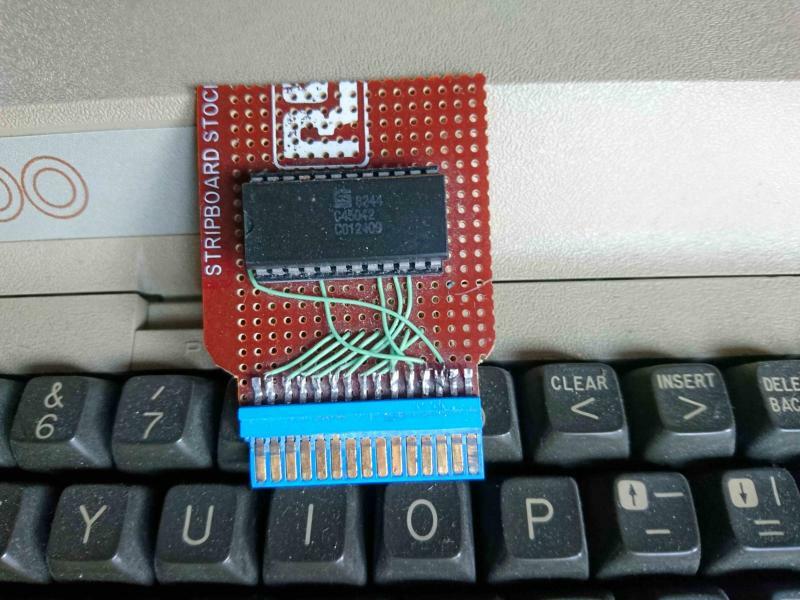 Sits in the hole above 48K to the start of ROM at 52K, no paging needed, just extra RAM. Very nice. Could you explain what changes to the motherboard are required? Nice one. Which SRAM chip did you use? In the day, most were 2K or 8K bytes. didn't want to break them, sorry. I did open the Cart, see photo's, I had forgotten what I did to make it work, wish I still had the diagrams. logic for the RAM, you can also see that I had to add an extra contact to the edge connector (right side of the underneath) and cut a few tracks. Incognito has a 52K mode. Are there any programs that require (or are enhanced by) it? I believe I read SynFile will recognize it, along with additional Axlon RAM up to something like 192K. Maybe SynCalc or VisiCalc too then. Never did that, but I used to get 52k when I used DOS XL 2.1 and with a Newell OS board that had 4k of memory on it, when I enabled my Bit-3 for some reason I always wound up with more memory. I have the system back up again, I'll try to recreate it, but that extra 4k was a God send back then, especially with my BBS software, I was using Basic XL's delete command to delete lines of code as a section was run and then load in parts of the software from a Ramdisk to allow me to have a bigger BBS program within the 52k of space. Synfile+ works with the Mosaic 64K upgrade in the 400, don't know if it only uses a single 4K(52K) bank or all 4(full 64K). I believe with the Bit3 you're no longer using system RAM for the display, and thus get more free memory.. I never had a chance to try with a 52K machine, but both Alternate Reality games used all available memory (The City upto 64K, Dungeon 128K) so it's possible they may use 52K Atari memory too. The Dungeon lets you know how much it finds, The City does not. Who knows, maybe The Dungeon would even look for Axlon expanded memory...maybe even The City. I wonder has anyone ever tried with them? If not, I will, eventually, I'm doing a 16K-to-48K-to-62K (Port B) mod to one of my 16K 800 boards now, and plan on doing a 48/52K mod and Axlon mod to the other two afterward. Edited by Gunstar, Fri Feb 15, 2019 6:27 PM. I would think it provides 52K. PORTB is not used for OS ROM control. 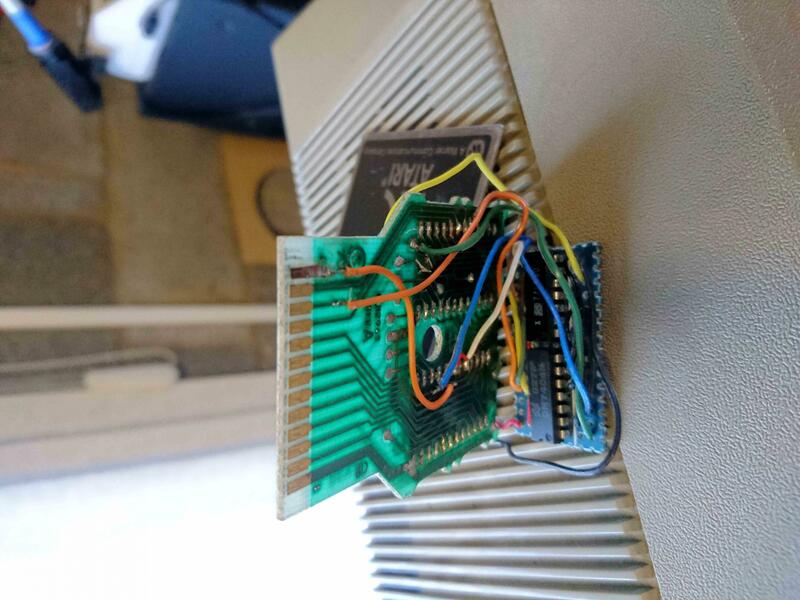 It is used for joyport 3/4 on a 400. I wish my Incognito had usable ports 3 and 4. (or 2 &3 if you start with zero). Edit: provides, not uses. (sometimes being a perfectionist is frustrating). Edited by Kyle22, Fri Feb 15, 2019 7:30 PM. Edited by Gunstar, Fri Feb 15, 2019 8:17 PM. Is this on a 400/800? Do you mean LINEAR 64K from $0000-$FFFF? Where is the hardware and OS gonna live? Are there bankswitch registers? How does it work? 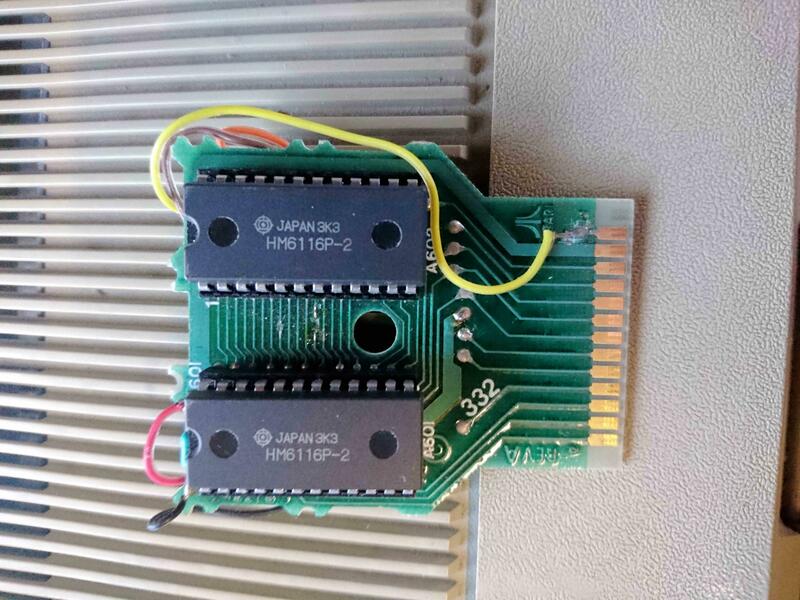 The 800 compatible upgrade I'm talking about doing to a board, I referred too as the 48/52K, I'm talking about using all 64K (any 400/800 board that is at least 48K actually use 8x64K drams and so 64K memory is there, but Atari's and some other 48K boards just ignore it unless modified.) like the Mosiac bank switches to the same continuous 48+4K memory. Similar to how the Mosiac 64K board works, but I actually don't know if it's 100% compatible with the Mosiac board. It's one of Claus's designs. so it doesn't touch the OS locations. ($C000-$D000)?? I may be mis-reading my self-edited, abbreviated memory map...I'm just teaching myself all this stuff lately, usually I just build the upgrades, I hadn't really started learning the 6502 and Atari memory map until recently, I still have to use reference constantly. I have Mapping the Atari, but this chart in 'How to program your Atari in 6502 Machine language' (A Hofacker paperback) was the easiest to find since I read the book a couple weeks ago. Edited by Gunstar, Fri Feb 15, 2019 9:13 PM. You'll have 52K then. You are only enabling RAM at the $C000 area. IIRC, there is a bug with clearing the screen that may affect this region. 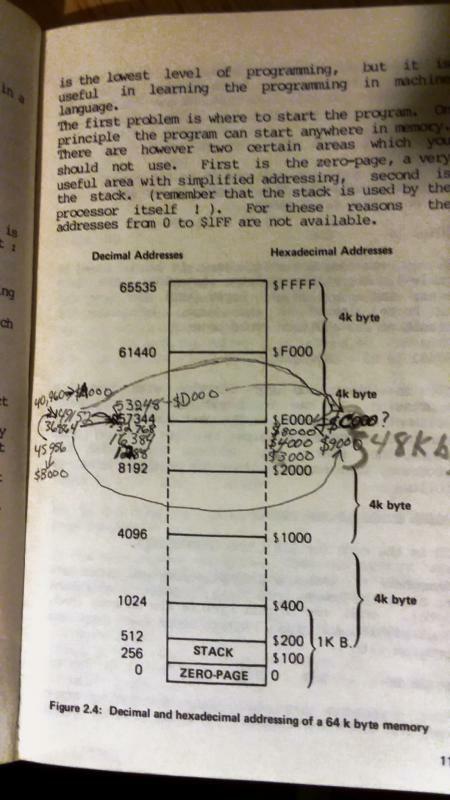 Yes, 52K seen by the 6502, but 64K dram on the board with three other 4K banks to bank switch in and out between $C000-$D000, Like the Mosiac 64K board. Edited by Gunstar, Fri Feb 15, 2019 9:17 PM. Only if there is RAM above MEMTOP. If the OS initializes E: with a default 52K MEMTOP, the bugged writes will go to the ROM region past $D000. But if you plan to do mosaic style banking, I presume memtop has be forced back to 48K to prevent banking out the screen RAM.. Which presents the risk of an E: screen clear wiping out some bytes into $C000.